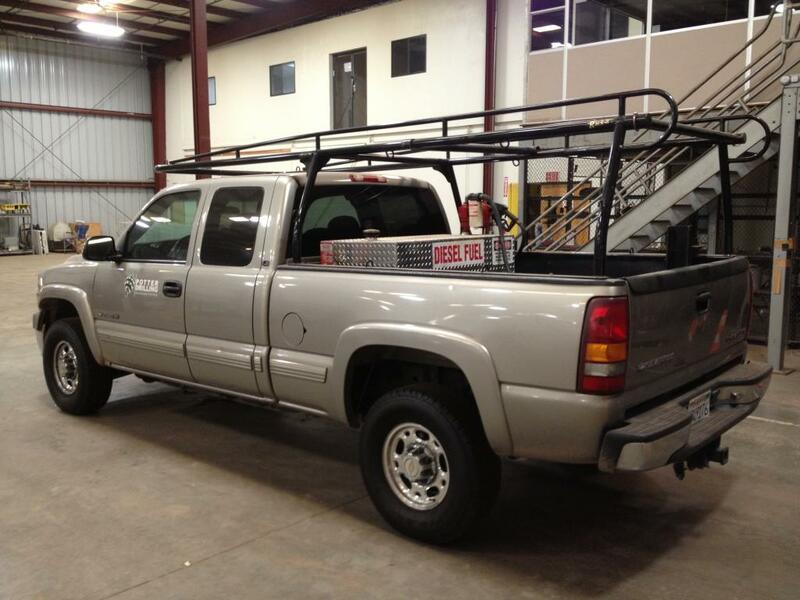 A one day, open to the public inspection of all assets will be held on April 23rd, 2013 from 9:00am – 4:00pm. Doors close at 4:00pm. Surplus and Idle Assets to the Ongoing Operations of Solaria, an Industry Leading Designer of Silicon PV Products. 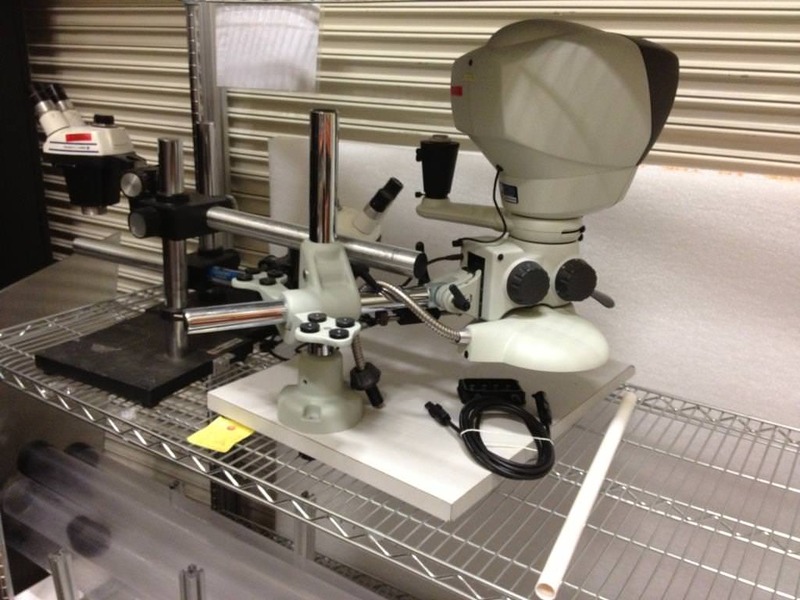 Sale Featuring Analytical Equipment, Test Equipment, Environmental Chambers, Robotics, and More! 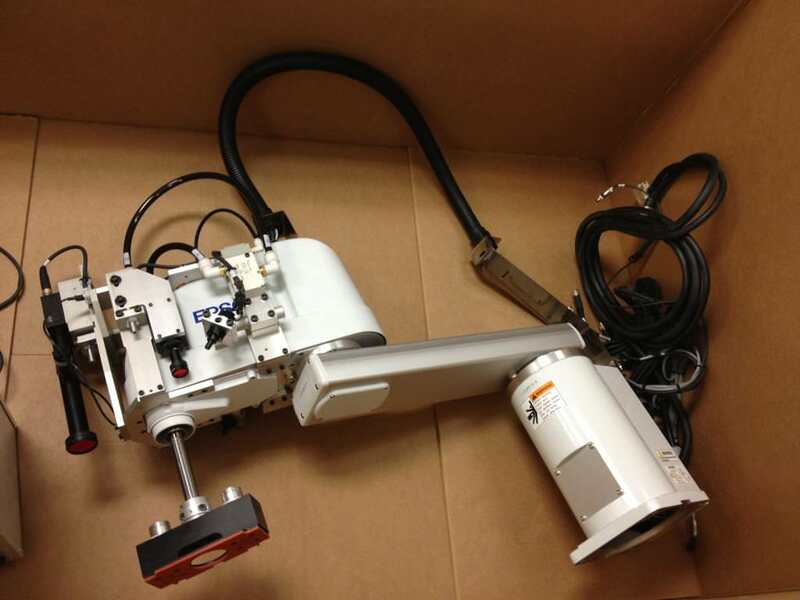 (6) Epson G6451S Robot Arms. (6) Epson RC620 Robot Controllers. (12) IAI CV-A1 Vison System Cameras. 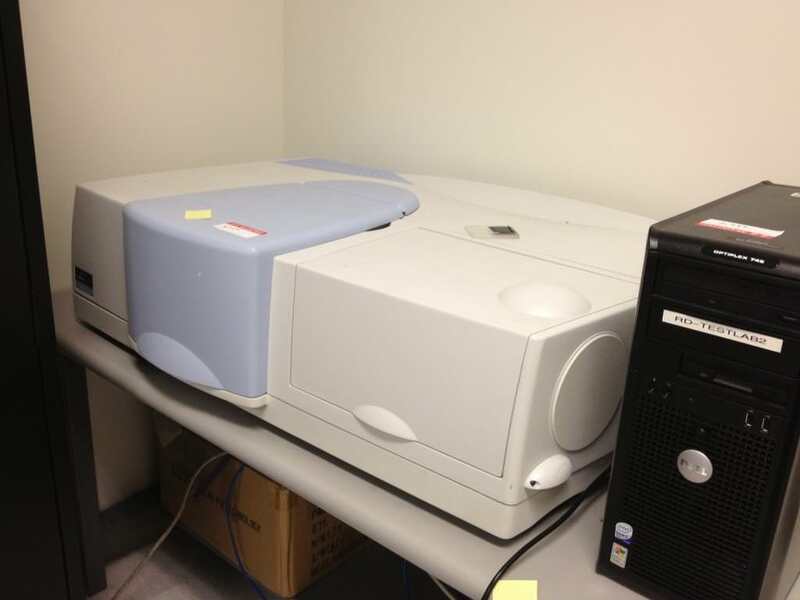 (2) Espec ESX-4CA Environmental Chambers (HF, TC, DH). (2) Thermotron SE-300-6-6 Environmental Chambers (TC, DH). 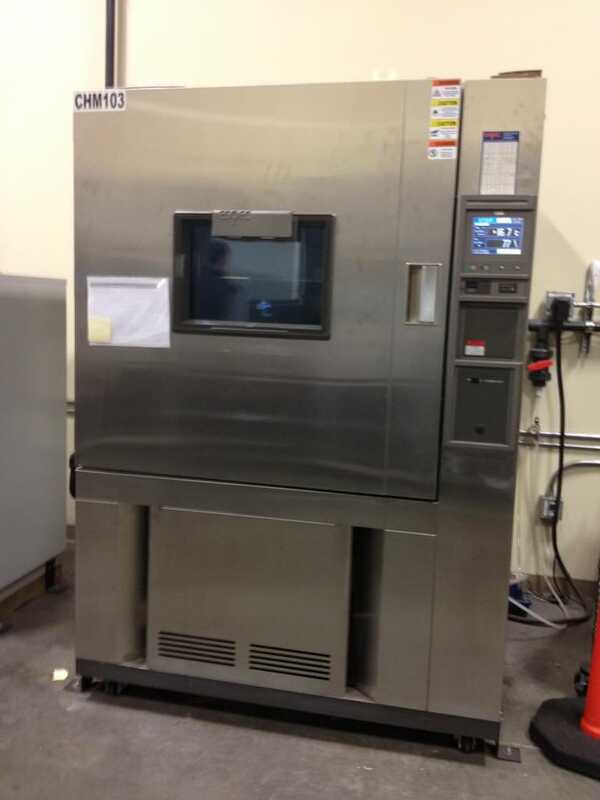 Despatch LCC Series Environmental Chamber, Convection Oven (100-300 C). 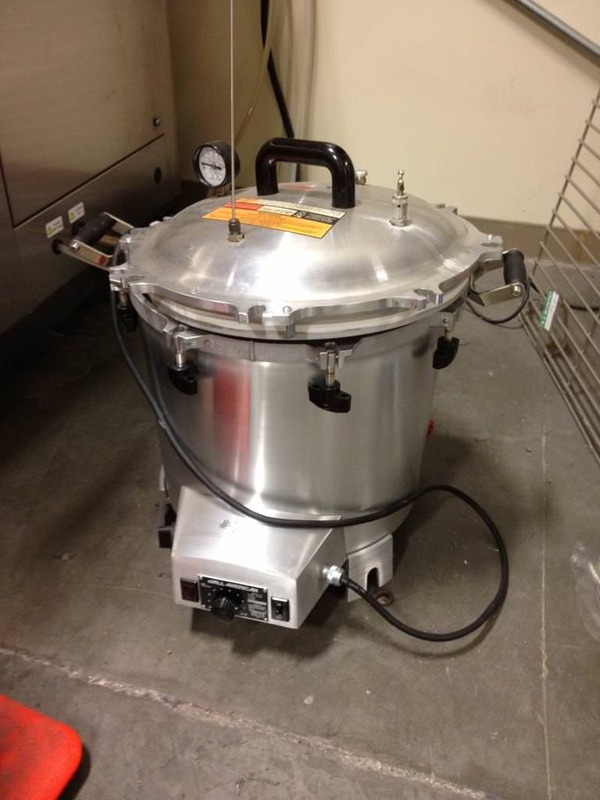 (2) All American 75X Pressure Pot. 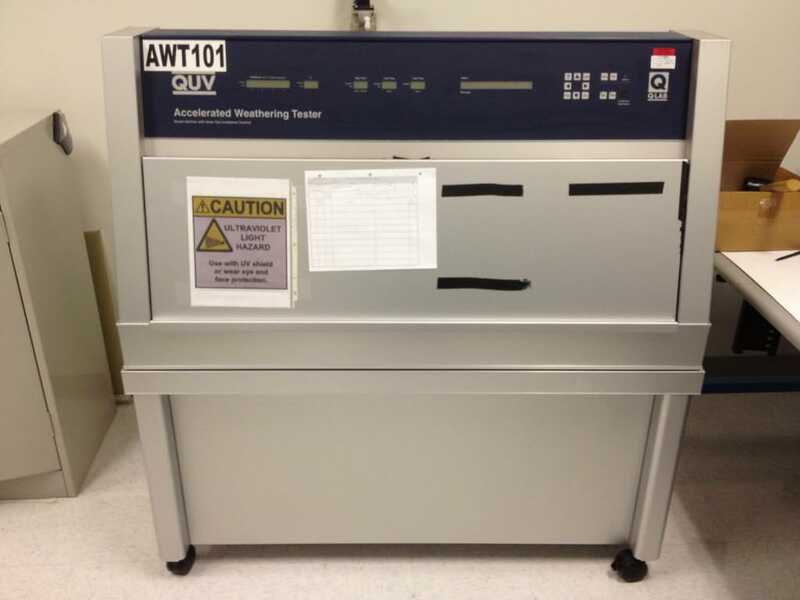 Newport Class A Continuous Solar Simulator for Cell testing. 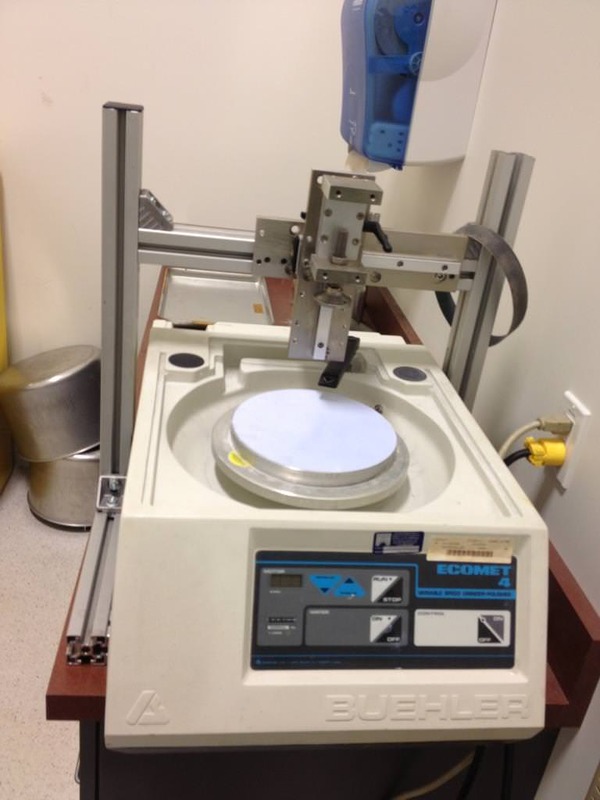 Newport Class B Continuous Solar Simulator for Cell testing. Pasan 3B Flash Tester, Class A+, w Tunnel. 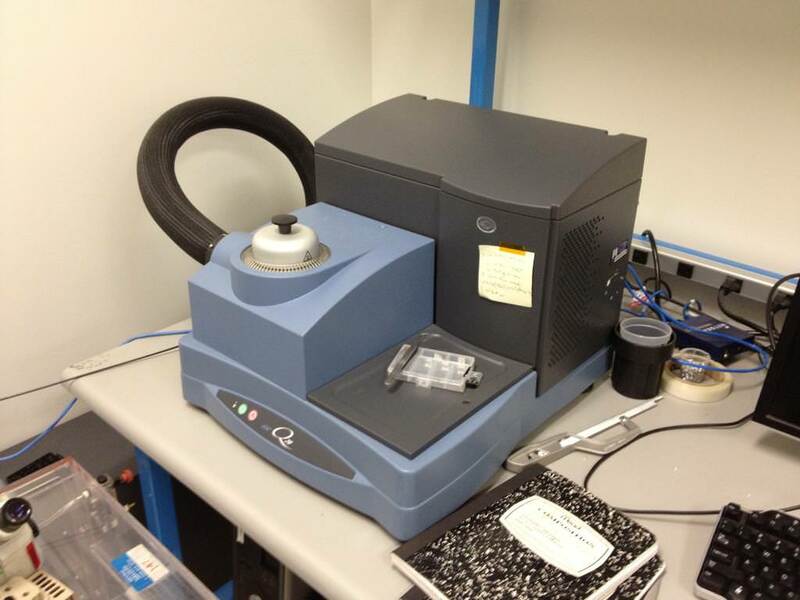 Mettler Toledo AB204-S/FACT Analytical Balance. 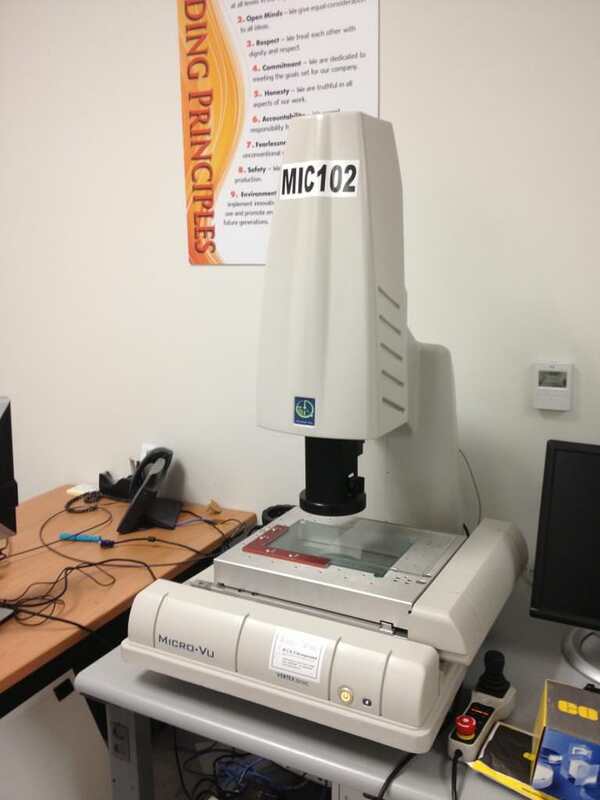 Micro-Vu Vertex 251 VC Microscope. 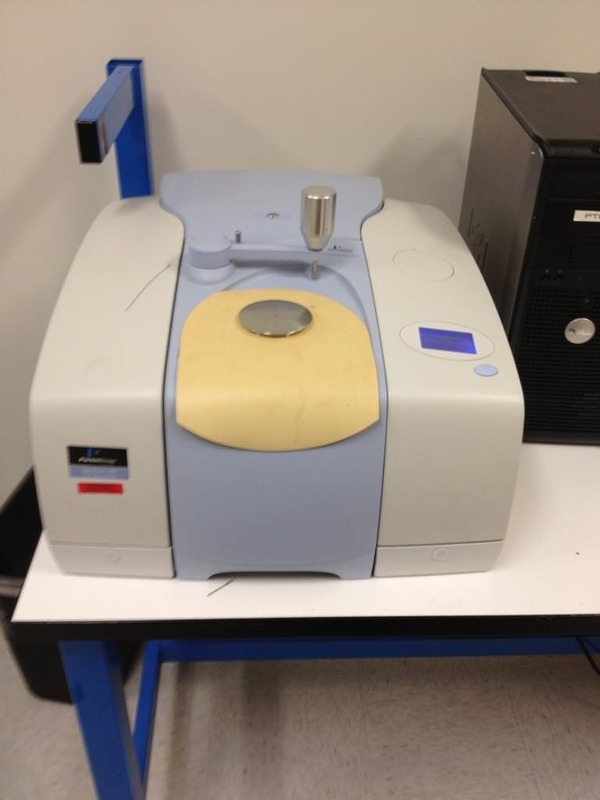 TA Q20 Differential ScanningCalorimeter (DSC). 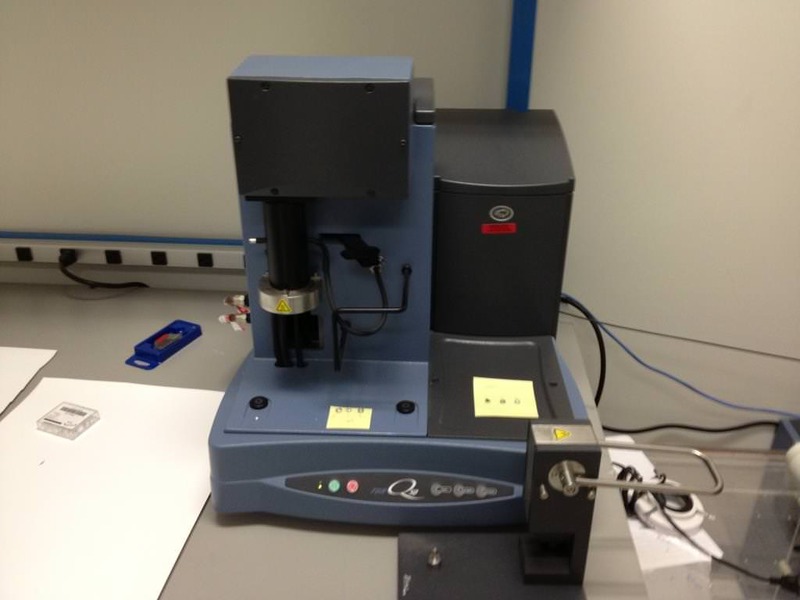 TA Q50 Thermo-Gravimetric Analysis (TGA). 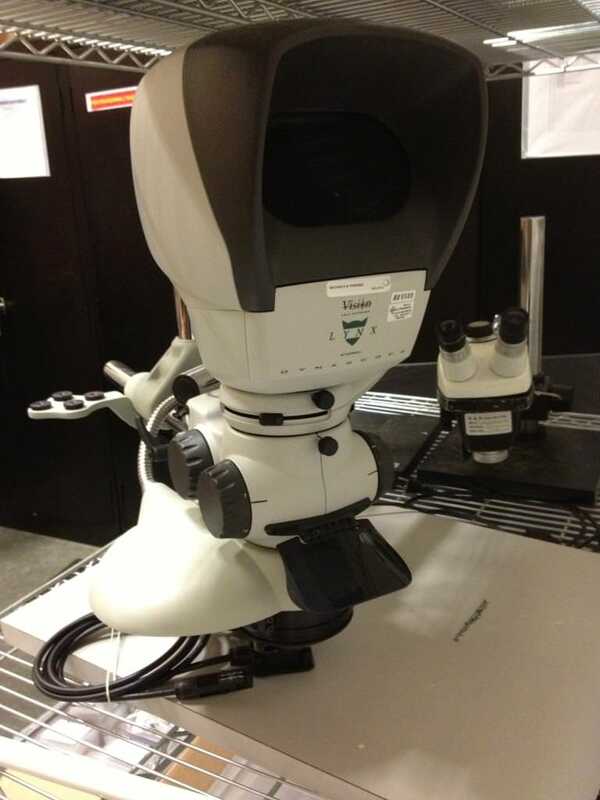 Perkin Elmer Lambda 750 Spectrometer UV/Visible. 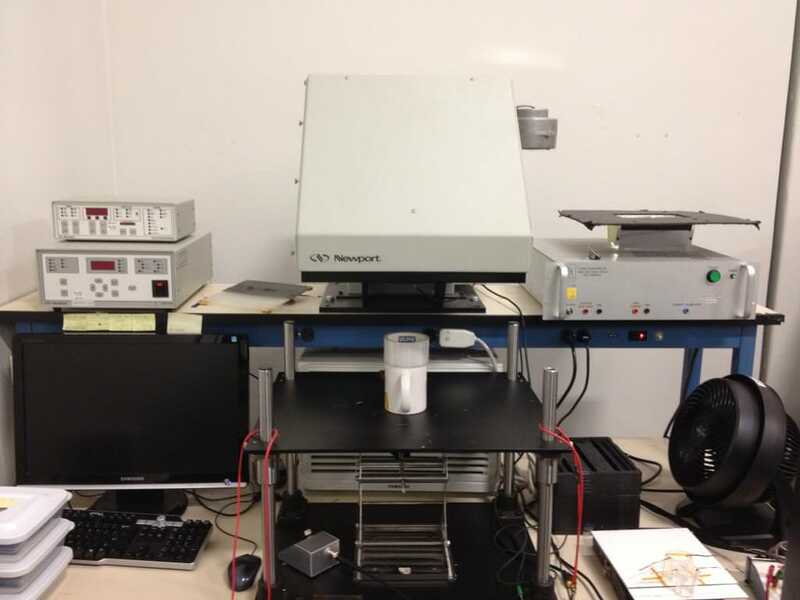 Q-LAB QUV / SE Ultraviolet Light Exposure w/ Temp. 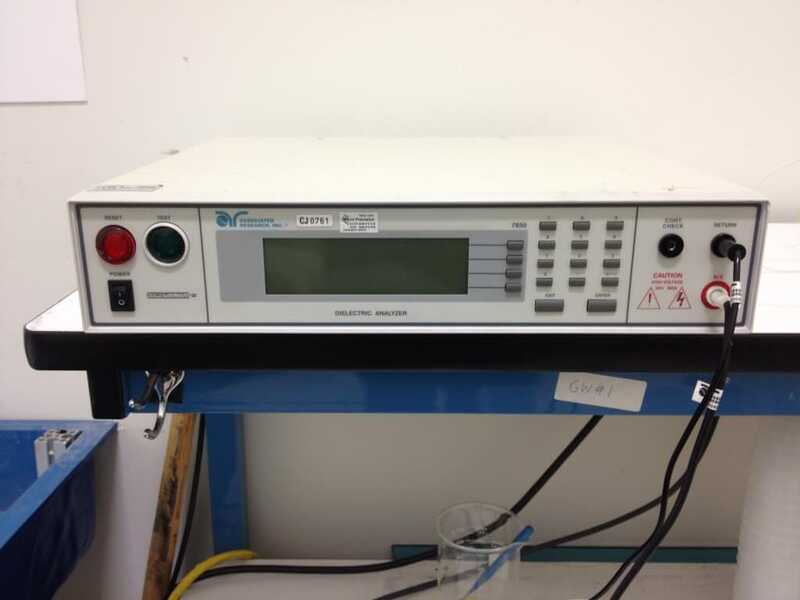 Keithley 2420 3A Power Supply, “SourceMeter”. Keithley 7001 Switch System w 2x Matrix Cards (7012-S 4×10). 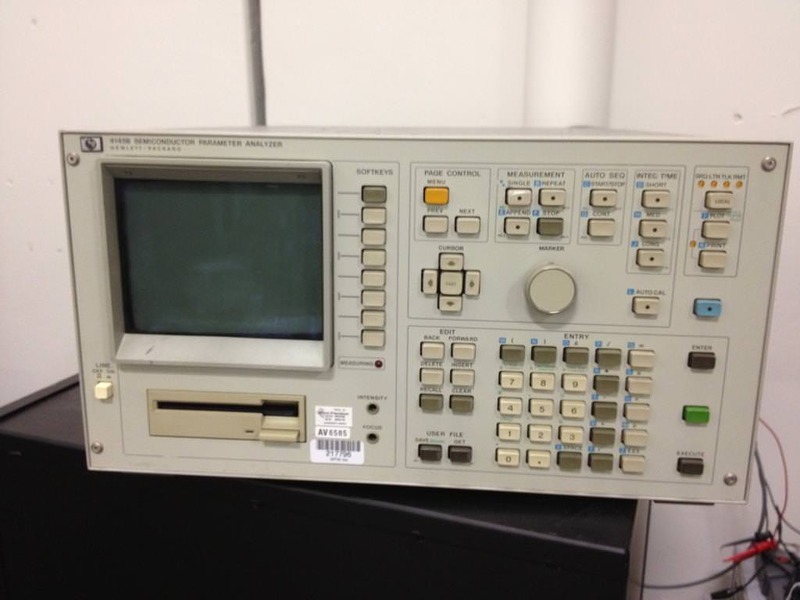 Agilent 34970 A Data Acquisition Switch Unit. BK Precision 8510 Programmable DC Load / Power Supply (600 W). 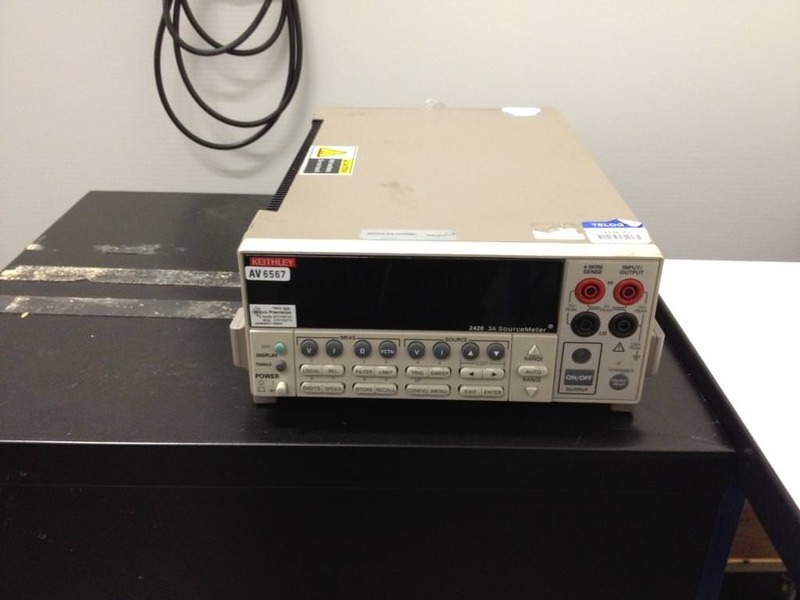 (3) Agilent N5747A DC Load / Power Supply (60V,12.5A,750W). 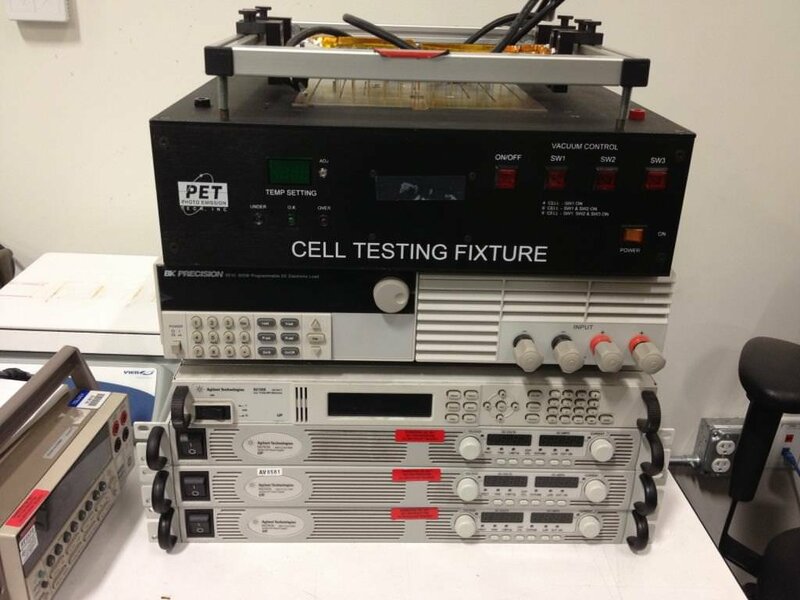 Agilent N6700B Modular DC Power Supply, 400 W.
Photo Emission Tec CC-2 Cell Testing Fixture. 3M CTM048 ESD Event Meter, “EM Eye”.